Smith Monument Works was founded in 1939 by C. R. and Dorothy Smith and is the leading builder of memorials in South Kentucky. Through five generations of experience we have maintained our commitment to top-quality materials and workmanship, friendly service, and innovative design. 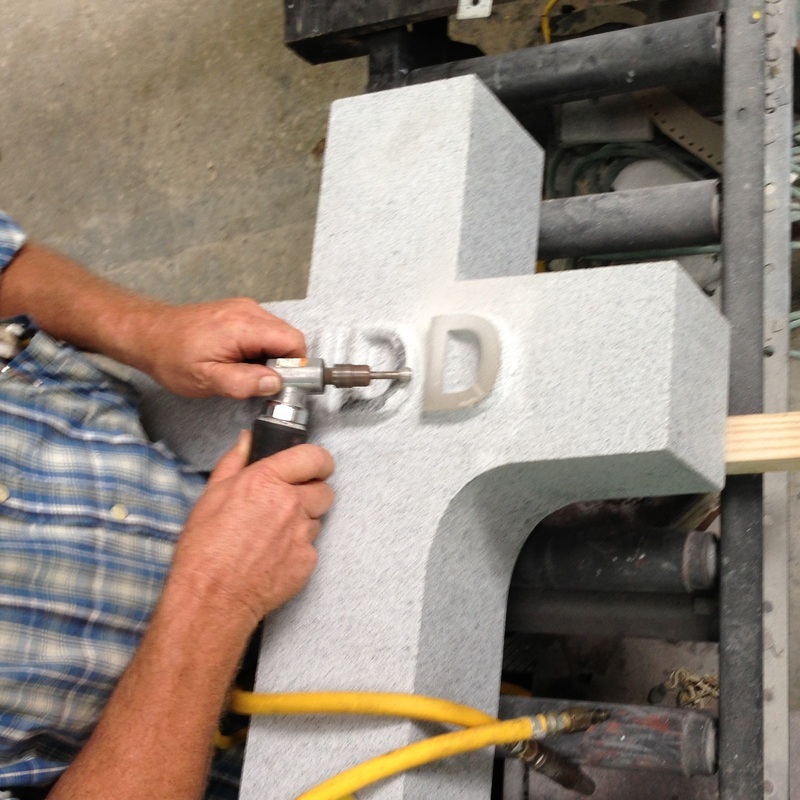 Let us put our experience to work for you to design and produce a monument that meets your needs. Old-style craftsmanship is hard to find. 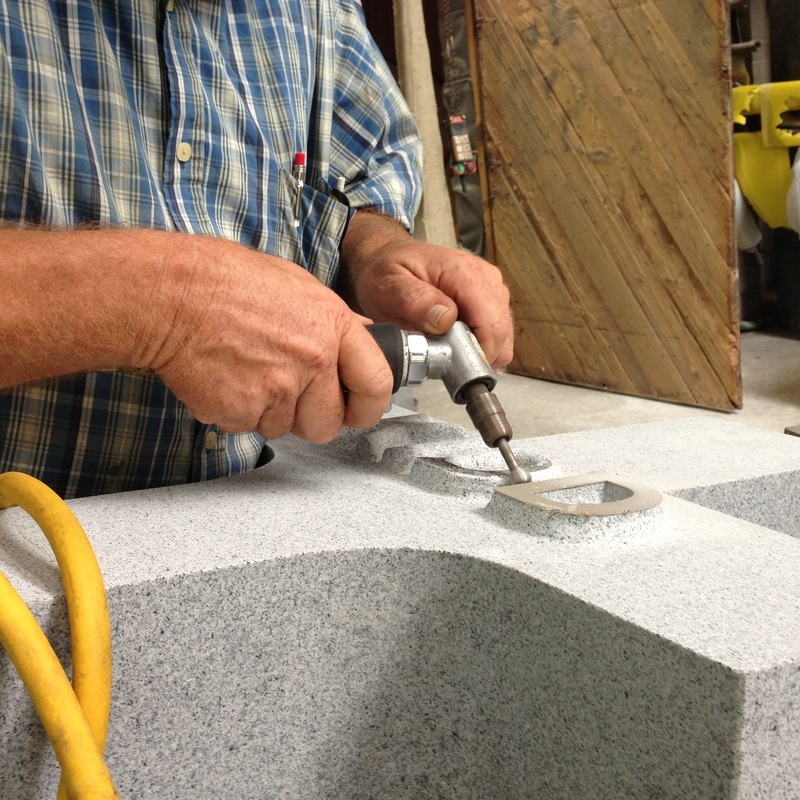 Apart from our display, it's rare to see one-of-a-kind custom made monuments illustrating hand-crafted beauty in stone. Here's something we've been working on for a few weeks. 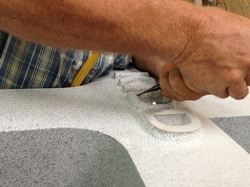 Cutting the round raised letters is almost the last step. Somewhere out there is a computer-controlled machine that will do this, but we don't need one. We don't do work like this every day, but we do it often enough that haven't forgotten how. 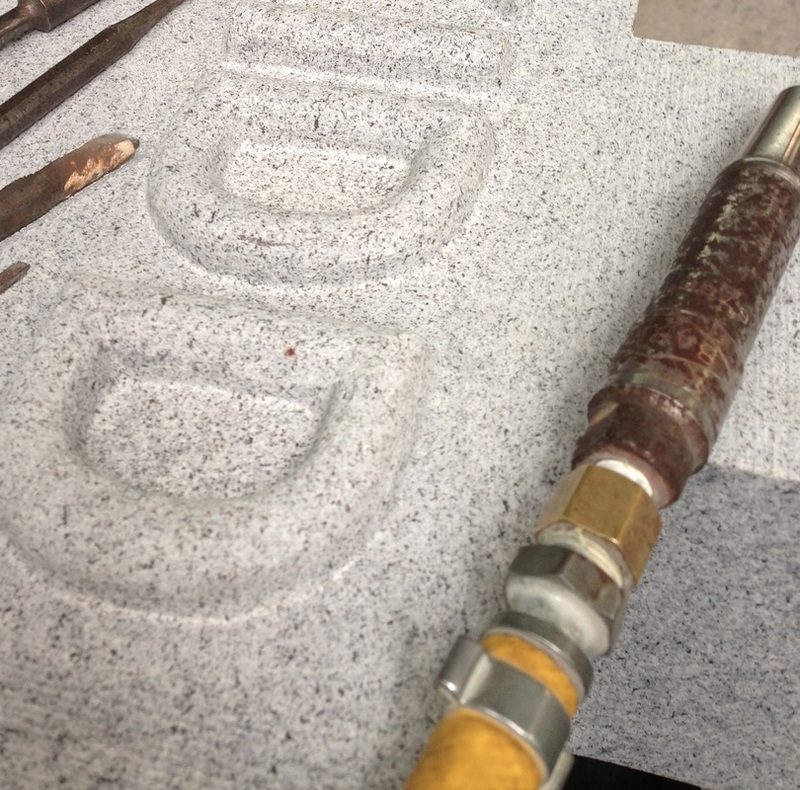 It's always fascinating to watch it come together at the hands of a true master stonecutter. This inscription appears on a Latin cross-shaped piece 20" wide x 6" thick x 46" tall--a shape that made us worry that it would be prone to falling over. 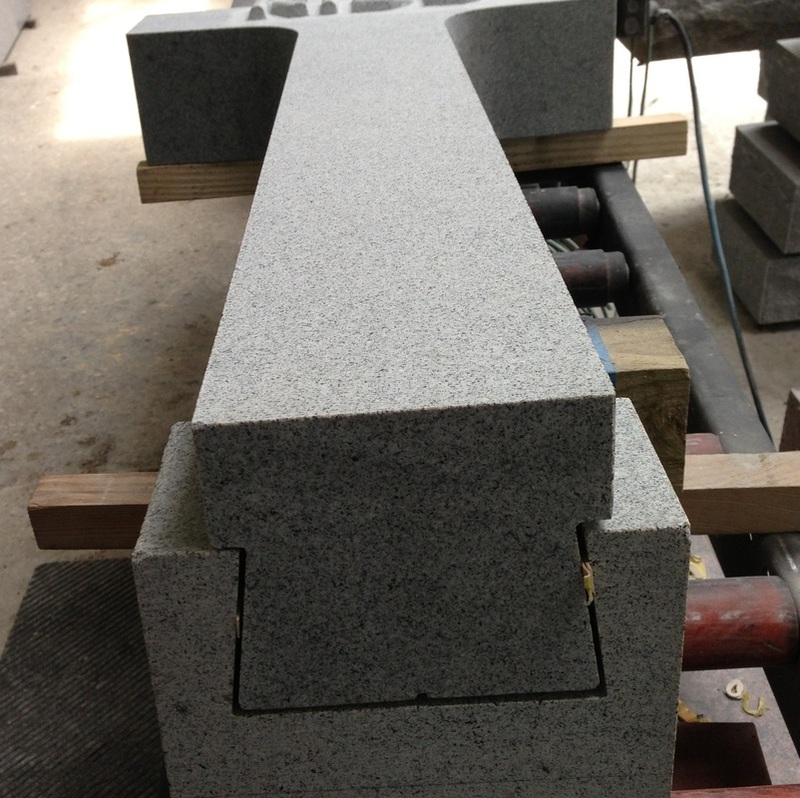 The pictures below also show the innovative method we used to fit the cross to its base to remove that danger. 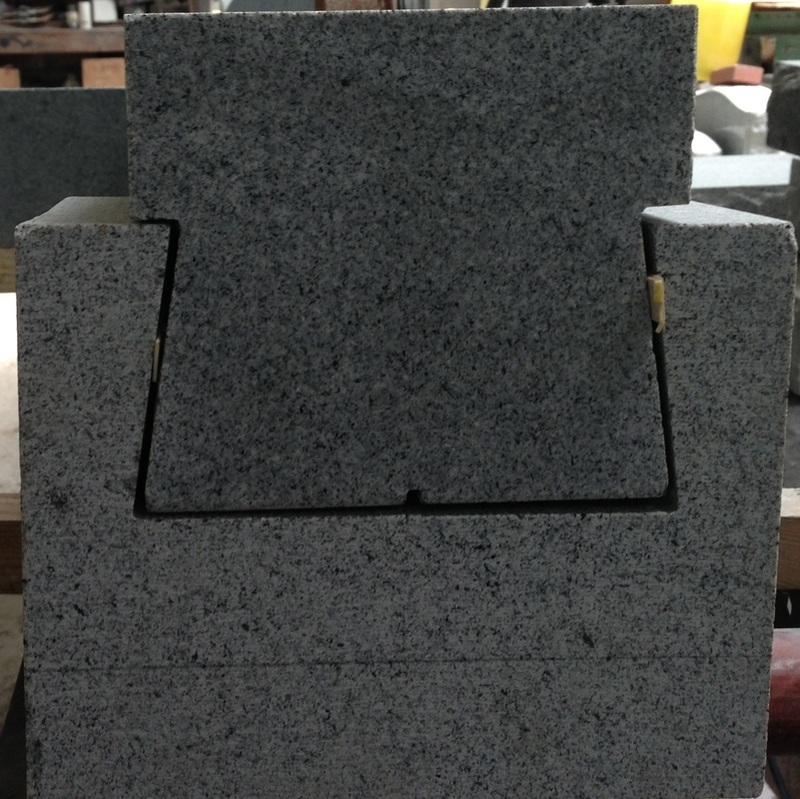 It's just like the dovetail joints that have held great-grandma's cupboard together for a hundred years, except this one's cut in granite. A couple of days ago I turned a customer around to get more information before we went forward with a sale of a monument going out of our usual service area. We sell a fair amount of monuments going far away--sometimes customers pick them up and set them but often we install them ourselves. 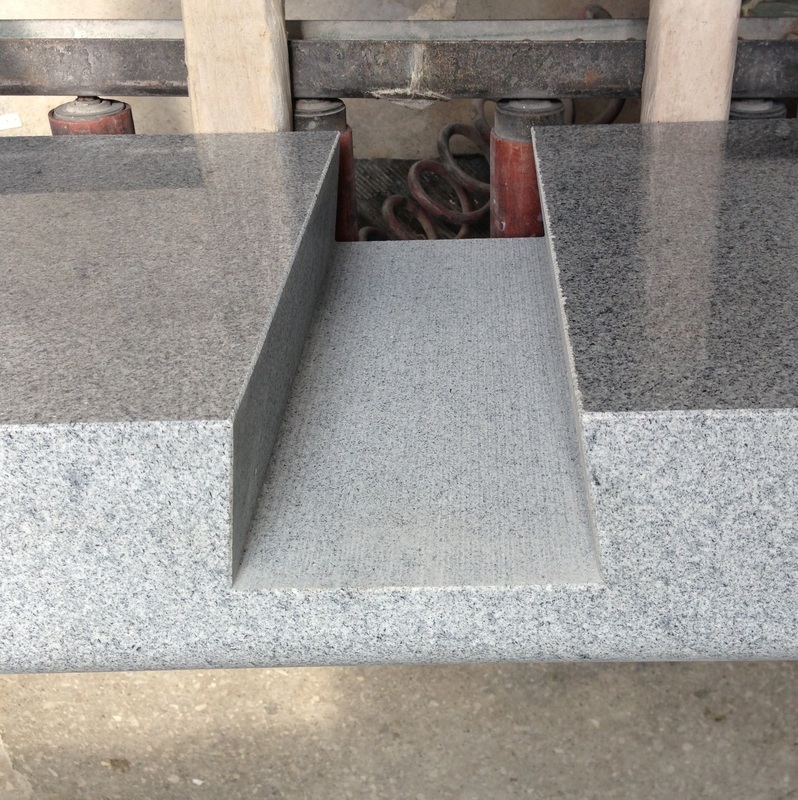 In any event, in cases like these we do our best to make sure that the cemetery in question will allow installation of the monument the customer is considering. In this case, we received a copy of the cemetery's regulations, and they seemed to imply that what the customer was considering might not meet their guidelines. The easy thing to do would be to close the sale and deal with the details later...but that's not how we operate. I advised the customer to ask the cemetery directly and unambiguously if what she was planning was within the regulations, and to preferably get an answer in writing. It's a big sale and it's still pending, but I'd much rather have no sale than see one of my customers spend thousands of dollars on a monument she can't use. Blurb continued, ten days later...The customer called and said the regulations were correct. Yay us for preventing our customer from spending a few thousand dollars for monuments that couldn't be installed! One of the many advantages to buying from professionals, rather than from companies who merely sell monuments as a sideline, is that our experience helps keep our customers pointed in the right direction!